Simon & Schuster, 9780743270755, 944pp. "An elegant, incisive study....Goodwin has brilliantly described how Lincoln forged a team that preserved a nation and freed America from the curse of slavery." 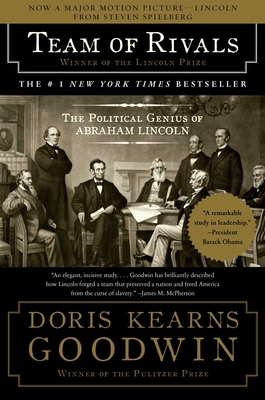 "Goodwin's narrative abilities...are on full display here, and she does an enthralling job of dramatizing...crucial moments in Lincoln's life....A portrait of Lincoln as a virtuosic politician and managerial genius." "Splendid, beautifully written....Goodwin has brilliantly woven scores of contemporary accounts...into a fluid narrative....This is the most richly detailed account of the Civil War presidency to appear in many years." "Endlessly absorbing....[A] lovingly rendered and masterfully fashioned book."